Trade Systems have been selling Twin Slot shelving from our showrooms in Kingston Upon Thames for more than 35 years and online since the website store was launched in 1999. 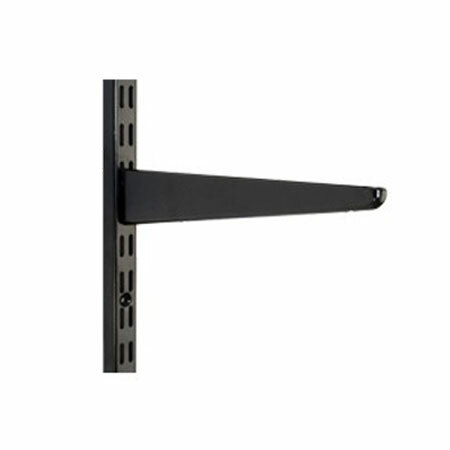 Originally designed for use in office, schools and workshops it's stylish design, strength and adjustability along with a huge range of accessories have seen Twin Slot become a very popular wall mounted shelving system in homes and fashion displays. 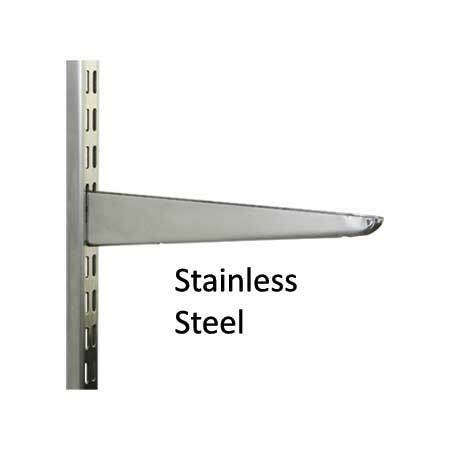 Twin Slot shelving is a wall mounted shelving system consisting of lengths of steel "U" channel section with a series of twin slots and fixing holes in the front that are fitted vertically to a wall surface commonly known as wall uprights. 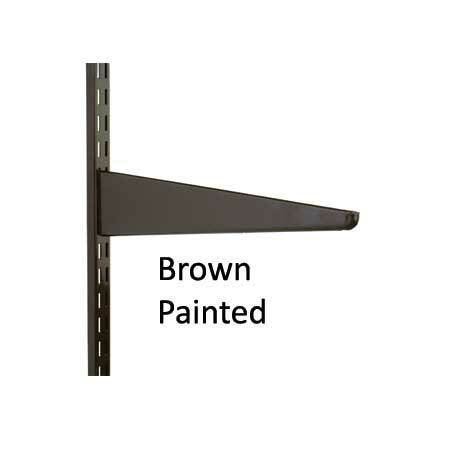 The wall upright will then accept a range of accessories for the purpose of display or storage. 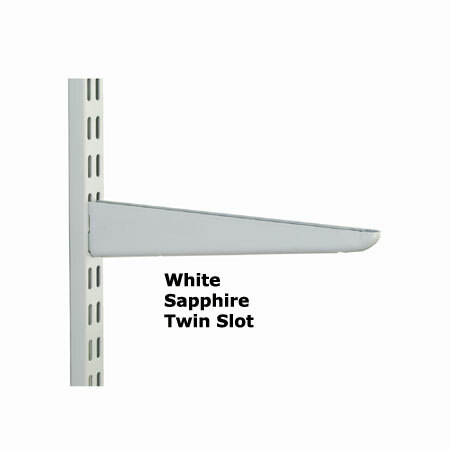 With material advances over the decades Twin Slot is now a popular solution in schools, offices and homes throughout the UK. With the latest advance in anti-bacterial powder coating our Twin Slot shelving is now used in sterile environments like hospitals. 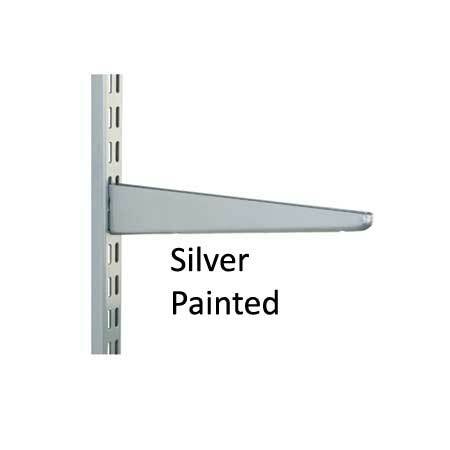 Along side the traditional white powder coated finish we now offer a range of colours including Black, Brown and Silver powder coating as well as chrome plated and Stainless Steel which is ideal for food preparation areas. 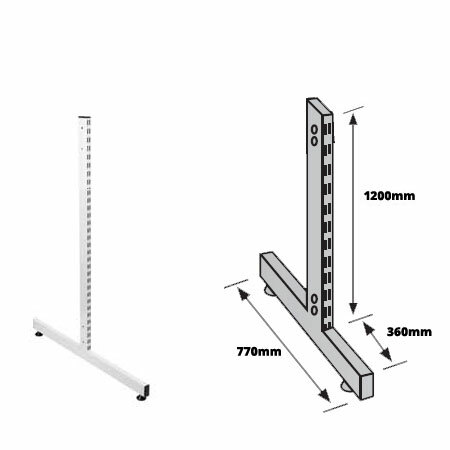 Our range of accessories for Twin Slot include the standard "U" profile straight and angle shelf brackets and powder coated 1000mm and 500mm wide steel shelves and book ends that fit directly into the uprights as ends or dividers plus book ends for our steel shelves or wooden shelves, we have chrome plated display shelf brackets for wooden or glass shelves and a display rails and arms all made for our twin slot shelving. 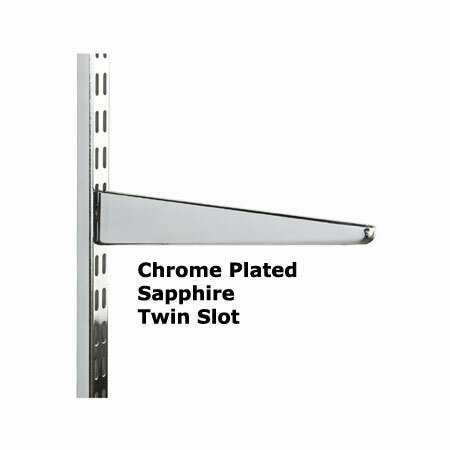 Twin Slot uprights are now available freestanding and double-sided so your twin slot storage or display now no longer needs a wall. 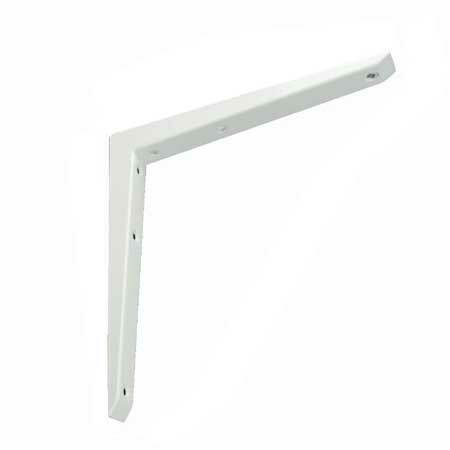 All our wall uprights and standard brackets are manufactured from 1.5mm thick quality steel and coated using the latest anti-microbial powder coating. 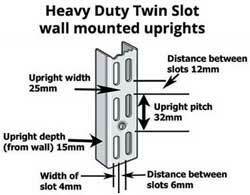 With weight loading of up to 151kgs per shelf bracket our twin slot shelving really is heavy duty. 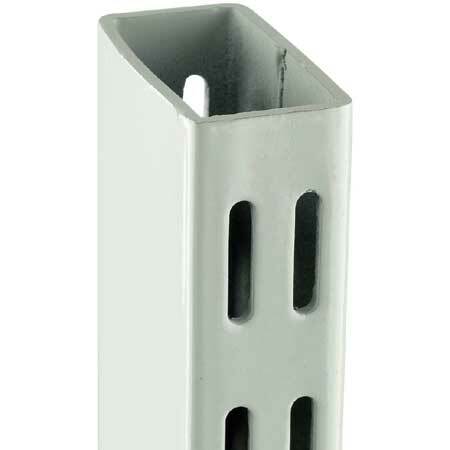 + shelf ends for wooden and steel shelves plus lots of other twin slot accessories for wall mounting, freestanding and double sided use.